The 1029 Hot Tomato Showdown is back for 2019 and your votes will decide who is the greatest artist of all time! We’ve done the hard part, and narrowed down our awesome artists to the top 128. All you have to do, is listen to them face off against each other and vote for your favourite artist each round. If you’re the 10th voter through on the hotline, you’ll even go into draw to win $10,000!! Flan, Emily Jade & Christo will call back the winner on Tuesday 23 April. So lock every radio onto 1029 Hot Tomato and show your support by calling 5571 1029 to vote for your favourite artist, and our Showdown CHAMPION! 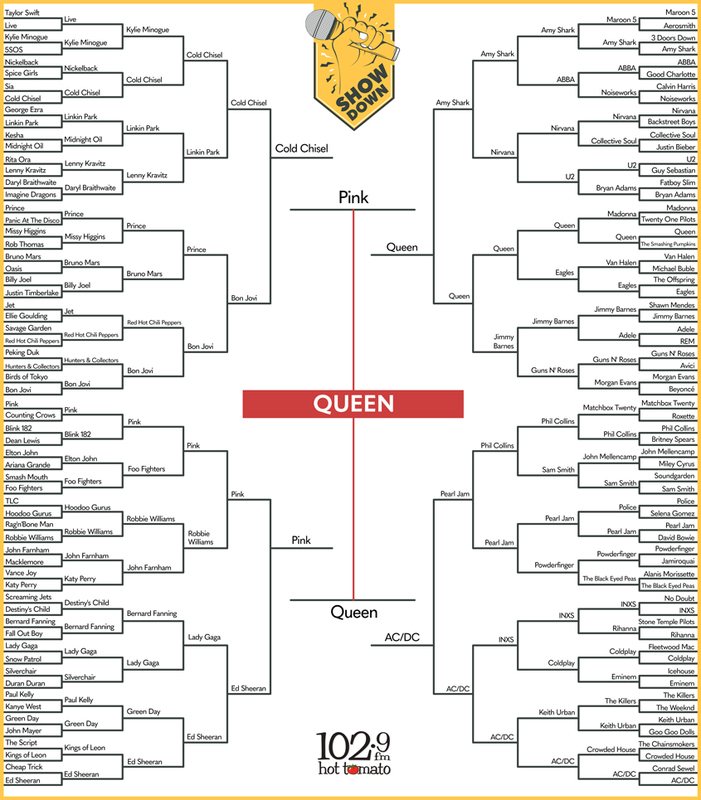 Queen have been announced as champions! Competition opens Monday 25 March and closes Thursday 18 April 2019. The tenth caller each hour will go into the draw for the major prize of $10,000. Only one entry per person in the draw. Winners will be drawn on Thursday 18th April 2019.